Attention Business Owners | Milnes Ford Inc.
Take Advantage Of These Tax Deductions For Your Small Business When You Purchase A New Ford Vehicle By December 31st! TALK TO YOUR TAX PROFESSIONAL NOW To See How Section 179 Of The IRS Tax Code May Allow You To Get The Maximum Available Tax Benefits In 2016 For The Purchase Of A New Vehicle For Your Business. Many businesses that invest in new equipment may be eligible to write-off up to 100% of the purchase cost on their 2016 returns. Normally, businesses spread these deductions over several years. The good news is that with Section 179 tax benefits provided under IRC Section 179, qualifying businesses may be eligible to write them off in the first year they are placed in service. Section 179 is the current IRS tax code that allows businesses to buy qualifying Ford vehicles and deduct up to the full purchase price (including any amount financed) from gross taxable income if purchased before December 31, 2016. If a business purchases a piece of qualifying equipment and products, the business may be able to write off up to the FULL PURCHASE PRICE from gross taxable income this year! Trucks with a GVWR greater than 6,000 lbs. 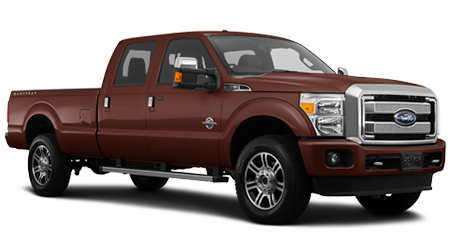 and a bed length of at least six feet (i.e., Ford F-150/F-250/F-350) qualify for the maximum first-year depreciation deduction of up to the FULL PURCHASE PRICE. SUVs, included trucks, with a bed length of less than six feet and a GVWR greater than 6,000 lbs. (i.e., Ford F-150 Super Crew® 5 ½ ft. bed, Explorer, Expedition) qualify for a maximum first-year depreciation deduction of up to the first $25,000 of the full purchase price plus 60% depreciation of any remaining balance. Vehicles of less than 6,000 lbs. GVWR (built on a truck chassis), such as the Transit Connect, may still qualify under current bonus depreciation for up to $11,560 per vehicle in the first year. Passenger automobiles under 6,000 lbs. GVWR also may qualify for up to $11,160 in depreciation. These vehicles must also be used for business at least 50% of the time. Depreciation limits will be reduced for personal use if the vehicle is used for business less than 100% of the time. Section 179 is the current IRS tax code that allows you to buy qualifying Ford vehicles and deduct up to the full purchase price (including any amount financed) from your gross taxable income if purchased before December 31, 2016. That means that if you buy a piece of qualifying equipment and products, you may be able to write off up to the FULL PURCHASE PRICE from your gross taxable income this year! Yes. To qualify for the Section 179 tax deduction for the 2016 tax year, your Ford vehicle must be purchased or leased and placed into service by December 31, 2016. Trucks with a GVWR greater than 6,000 lbs. and a bed length of at least six feet (i.e., Ford F-150/F-250/F-350) qualify for the maximum first-year depreciation deduction of up to the FULL PURCHASE PRICE. SUVs, including trucks, with a bed length of less than six feet and a GVWR greater than 6,000 lbs. 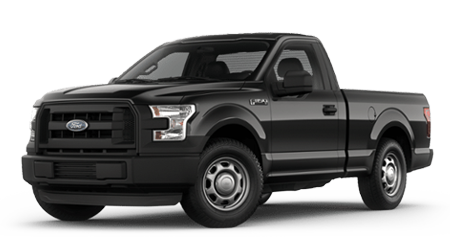 (i.e., Ford F-150 SuperCrew 5½ ft. bed, Explorer, Expedition) qualify for a maximum first year depreciation deduction of up to the first $25,000 of the full purchase price plus 60% depreciation of any remaining balance. WHAT ABOUT SMALLER TRUCKS/ VANS/ SUVS? Vehicles of less than 6,000 lbs. 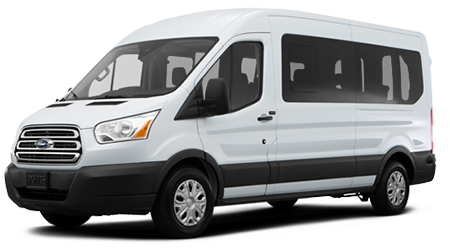 GVWR (built on a truck chassis), such as the Transit Connect, may still qualify under current bonus depreciation for up to $11,560 per vehicle in the first year. Passenger automobiles under 6,000 lbs GVWR also may qualify for up to $11,160 in depreciation. Please Note: This information is provided by your local Ford Dealership as a public service to you. It should not be construed in any way as tax advice or a promise of potential tax savings or reduced tax liability. Individual tax situations may vary. Federal rules and tax guidelines are subject to change. For more information, about the Section 179 tax code and tax deductions, please contact your tax professional for complete rules applicable to your transactions and visit the Internal Revenue Service website at www.irs.gov. This information is provided as a courtesy by your local Ford Dealership as a public service to you. It should not be construed in any way as tax advice or a promise of potential tax savings or reduced tax liability. Individual tax situations may vary. Federal rules and tax guidelines are subject to change. For more information about the Section 179 tax code and tax deductions, please contact your tax professional for complete rules applicable to your transactions and visit the Internal Revenue Service website at www.irs.gov. 1This analysis applies only to vehicles placed in service in the United States after December 31, 2015, and by December 31, 2016. The aggregate deduction of $500,000 under Internal Revenue Code Section 179 is most beneficial to small businesses that place in service less than $2,000,000 of "Section 179 property" during the year (vehicles and other business property). The $500,000 deduction decreases by a dollar for every dollar spent on Section 179 property in excess of $2,000,000. 2Passenger vans that seat nine (9) or fewer people behind the driver's seat will have a limit of $25,000. Vans that seat ten (10) or more people behind the driver's seat and cargo vans will have a $500,000 aggregate limit under Section 179 on the amount of first-year deduction. Each $25,000 deduction contributes to the $500,000 aggregate deduction limitation under Section 179. 3IRC Section 280F(d)(7)(B) requires that the limitation under IRC Section 280F(a)(1) be adjusted annually, based on the CPI automobile component for October of the preceding year. The IRS officially announced the Section 280F depreciation limits in Revenue Procedure 2016-23. The passenger automobile limitation is $11,160, the trucks/vans under 6,000 lbs. limitation is $11,560. The expensing restrictions under Section 280F do not apply to vehicles that are considered to be "qualified non-personal use vehicles" (QNUVs). A QNUV is generally a vehicle that, by virtue of its nature or design, is not likely to be used more than a de minimis amount for personal purposes. For more information, see Income Tax Reg. Sec. 1.280F-6(c)(3)(iii), Income Tax Reg. Sec. 1.274-5T(k) and Revenue Ruling 86-97, and contact your tax advisor for details. Consult your tax advisor as to the proper tax treatment of all business-vehicle purchases.